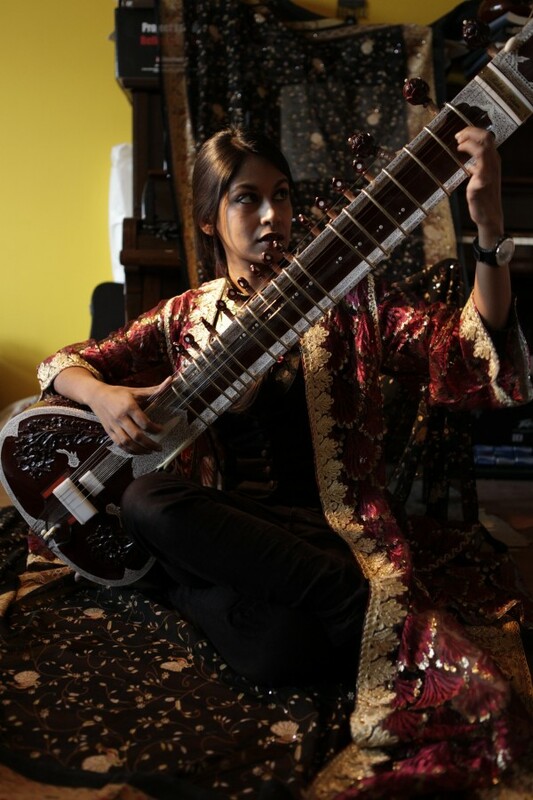 Indian sitar player explores Ragas and improvisation with jazz guitarist Deirdre Cartwright. 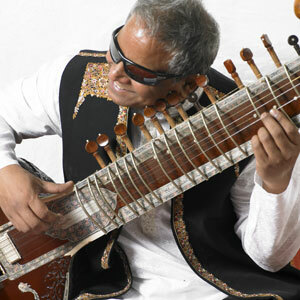 Baluji Shrivastav is one of the greatest instrumentalists India has produced excelling in sitar, surbahar, dilruba, pakhavaj and tabla. Firmly established in the Hindustani classical tradition he delights in exploring music in all its forms – recently entertaining the world at the closing ceremony of 2012 Paralympic Games with Chris Martin and Coldplay. He composes for film, dance, theatre and original works for Western orchestras and Indian ensembles. He has recorded with Massive Attack, Madness, the Doves, Amorphous Androgynous, and performed with great artists such as Stevie Wonder. He has his own Jazz ensemble Jazz Orient/Re-Orient and has recorded several albums. The Shama Rahman Band are masters of what they dub “Urban Folk” – mixing music from English, Bengali, Bulgarian and West African traditions, jazz to dubstep, punk to folk, spoken word to bosa nova, Singer/Sitarist/Composer Shama weaves stories that start life as poems and take flight as songs. The album features musicians from Bengal, Britain and around the world, recorded in support from Gabriel Prokofiev’s Non-Classical studios. It is already garnering praise from the likes of Gilles Peterson. The sitar is played in the context of storytelling, musically arranged to sit within layered harmonies and complex grooves of a 4-piece band. Expect a performance of challenging musical beauty. Trombone virtuoso with South African and ska influences. plus World Music Workshop Big Band. An exciting blend of music from twenty horns, featuring jazz, african and latin grooves, under the leadership of Annie Whitehead. Repertoire includes tunes by Chris McGregor, Dudu Pukwana, Duke Ellington and Diane McLoughlin. 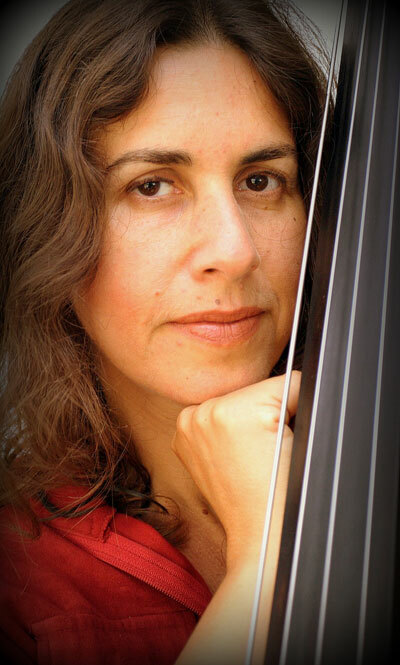 A rich tapestry of Balkan, Klezmer, Middle Eastern and jazz led by acclaimed composer and double bassist Daphna Sadeh. 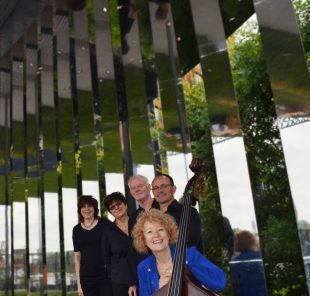 The band have played festivals and clubs in UK and Europe and Daphna’s fourth CD is due for release this year. 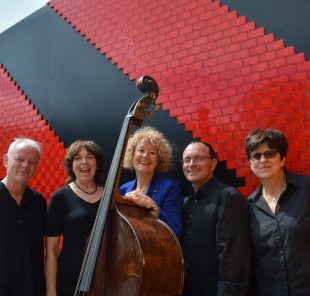 “…a brilliant and hypnotic mix of Jazz,Western classical, Middle Eastern, Arabic Taqsim and Jewish music reflecting her eclectic life experiences. Seductive and powerful music…” John Zorn. 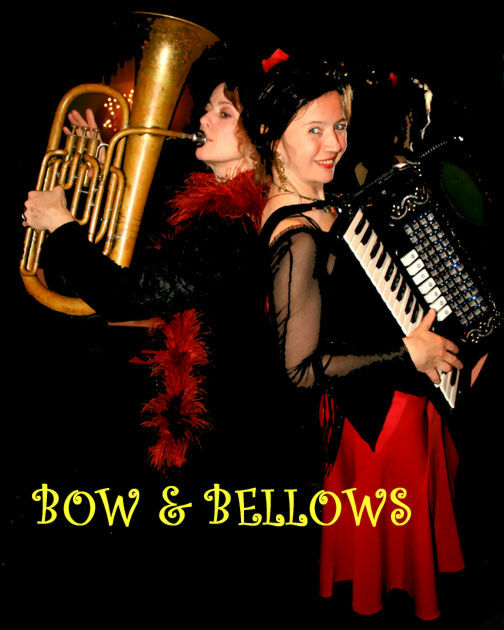 A stunningly versatile duo – Klezmer, Balkan and Gypsy music with occasional sorties to savour the musical traditions of other countries. 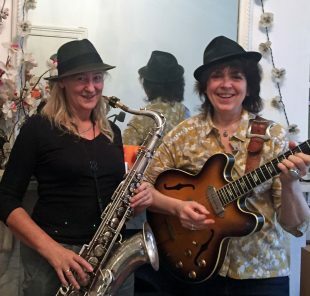 Louise Elliott sax/flute & Cheryl Alleynedrums. 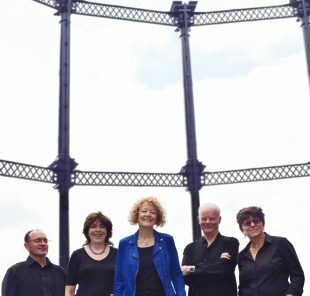 Louise Elliott, virtuoso flute player has played regularly with Grand Union, Penny Rimbaud and Yusuf Ali Khan in his monthly series From Bengal to Bethnal Green. ARQ album launch. 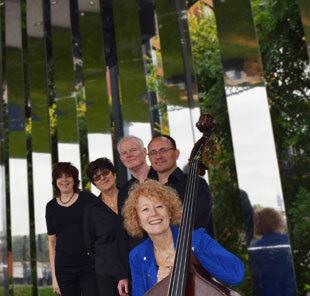 A winner of the Jazz Services Recording Subsidy Award for 2013, bass player and composer Alison Rayner leads this contemporary jazz quintet. 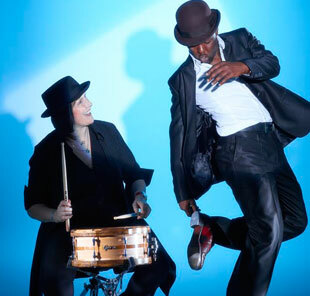 Original compositions draw on a love for lyrical melodies, deep grooves and influences from folk, funk and Latin. 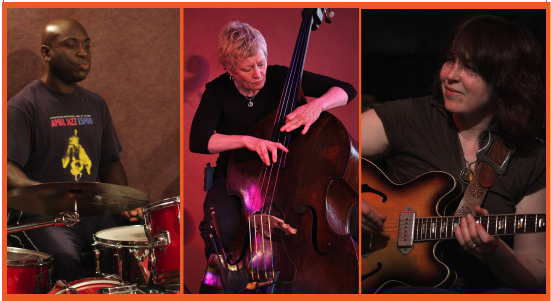 Diane McLoughlin saxophone, Deirdre Cartwright guitar, Steve Lodder piano, Buster Birch drums. Plus Flo Moore Trio Double bassist currently studying at the Royal Academy of Music. Where young meets old, where East meets West. Can you believe it’s been 25 years since Blow the Fuse began running a regular jazz night in the theatre at the Duke of Welly on the Balls Pond Road! 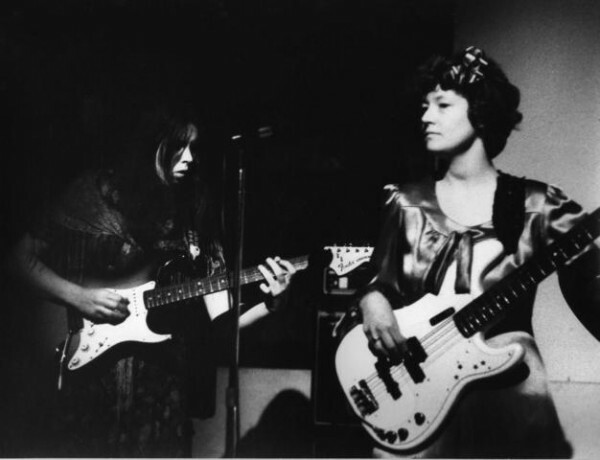 Since then there’s been The Happening, Emma Peel Fan Club, Electric Landladies, the Kings Head Theatre, Samuel Pepys, the old Vortex, the new Vortex, 11 album releases…. Children have been born and grown up, family members have passed away, many dear friends have gone from this life and still the music plays! Thank you, thank you for your support over all this time. We know you feel the joy and pleasure we feel from creating our events – and do we have a great season coming up this Spring 2014? Yes we do! 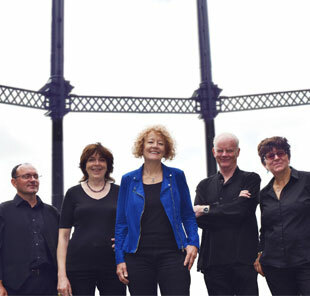 Fri 13 June Annie Whitehead 4 plus World Music Workshop big band. Thanks again to the PRSF and Jazz Services for supporting us in our new Tomorrow the World season. Six double bills of tremendous jazz and world music. We’d also like to thank our own Fairy godmother and godfather Chloe and Seamus de Souza and the fabulous Vortex volunteers – Lorraine, John and Laurie. We really couldn’t do it without all of you! 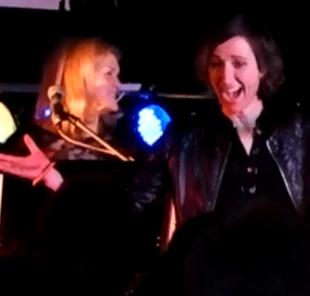 If you can’t wait, take a look here at our new Electric landladies film…. but don’t wait until the Inn is full! Blow the Fuse VorteXmas party with special guest — London blues legend Carol Grimes. 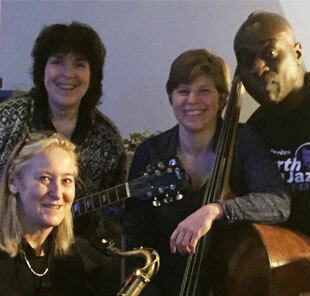 Dorian Ford piano, Deirdre Cartwright guitar, Alison Rayner bass, Winston Clifford drums. 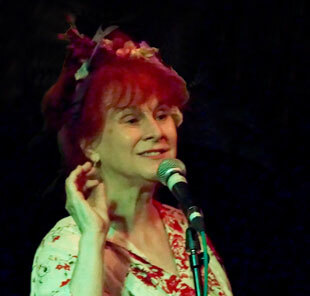 Carol Grimes, singer, songwriter, poet, storyteller. An evening to remember as we celebrate the darkest month with the warmth and brightness of music and stories. With a wonderful range of material and her regular accompanist Dorian Ford. 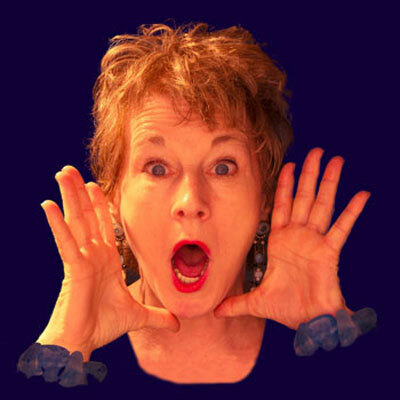 Carol Grimes’ caustic wit and quirky observations about life and art in a set of songs that blend jazz, soul and blues. We will be showing a short film “Being for the benefit of Carol Grimes” in the first set which feature performances by Ian Shaw, Sarah Jane Morris, Annie Whitehead, Jennifer Maidman, Steve Lodder, Laka D, Mark Jennet, Josefina Cupido and all the live band from a gig at Chats Palace in 2008. Yes, music that moves in mysterious ways! 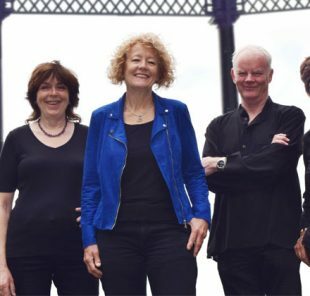 Alison Rayner bass, Winston Clifford drums, plus Diane McLoughlin and a box of Cadbury’s Roses! Yesterday… all my trouble seemed so …. Look what we’ve uncovered recently. Alison and Deirdre from 1977. We can’t work out if they were supposed to be in fancy dress. We think this photo was taken on stage at the 1977 festival at the Drill Hall in London. 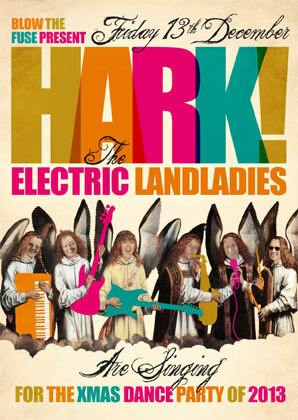 THIS SUNDAY 12th… ‘ELECTRIC LANDLADIES UNPLUGGED’ aka Acoustic Landlady. Vortex N16. The 2014 Parliamentary Jazz Awards (APPJAG) are now open for public nominations, closing on Monday 3rd February. Please vote here http://www.jazzservices.org.uk to ensure that your favourite albums and artists of last year are represented. We are very proud to have been awarded a Jazz Promoters Award for the third year running. Our thanks to Jazz services and the PRSF for funding the scheme. 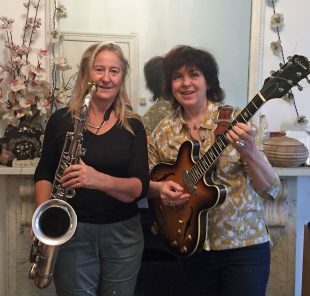 The money will help us to run our ‘Tomorrow the World‘ series in 2014; A series of double bills led by women featuring some of the UK’s finest jazz and world music with support from a younger generation of rising stars. If we don’t see you at any of these, we hope you have a good break and a chance to relax. It’s been quite a Year – see you in the next one, and don’t be late! 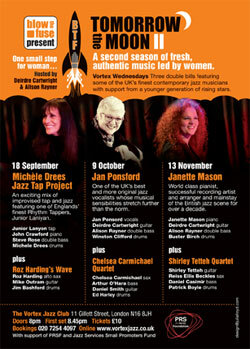 Our season of double bills this month features a wonderful piano player, recording artist and arranger – Janette Mason with support from a young guitarist starting to make waves on the jazz scene, Shirley Tetteh. Janette Mason a mainstay of the British Jazz scene for over a decade, Janette Mason has toured her unique sound in Europe, Israel, Japan, Thailand the United States, playing everywhere from The Atlanta and Rochester Jazz Festivals to the Carnegie and Albert Hall. The Deirdre Cartwright trio is back at the Bar. 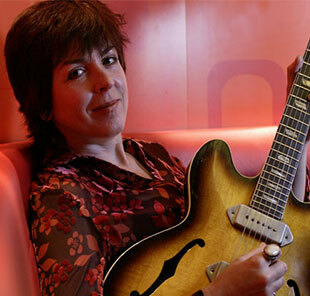 Doors 8pm Music 9pm Alison Rayner on bass, Simon Roth on drums and guests popping up. Imaginative, improvised, melodic and free admission. Diane McLoughlin will be guesting on saxophone tonight. We have so much lovely music coming up this November 2013 from Blow the Fuse. Janette Mason and the Guest Stars, Jan’s Bar on the last Friday, and then in December … It’s Friday the Thirteenth, a date to remember with the ELECTRIC LANDLADIES. Tickets have gone on sale this week! Guest Stars Ticket Update – selling out so be sure to book your tickets soon.